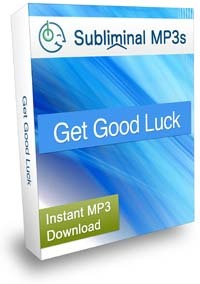 Bring good luck into your life, and become someone who is just "naturally lucky" with help from this unique subliminal audio album! Do you never seem to get an easy break in life? Do you wish you could sail through life effortlessly, with luck on your side? Do you wonder how some people, perhaps your friends, get all the good luck in life, while you seem to attract bad luck constantly? Your luck can change, your life doesn't have to be a luckless struggle forever. You can change your mindset, change how you see the world, and change what you bring into your life - you can attract luck and make your own luck in life! Subliminal audio is a simple and natural way of penetrating into your mind to do exactly this! Some people just seem lucky - they have an easy lifestyle, they get what they want, they receive new opportunities, and always seem to be blessed with good luck in their day to day lives. However, you can be like this too - it all starts in the mind, and our subliminal messages will plant the seeds of good luck in your mind, so that you grow into one of these naturally lucky people too. Open your mind and your awareness to accept luck into your life, and to notice new opportunities and lucky encounters. The more you think about how lucky you have been and are, the luckier you will get. Develop a mindset of luck and bring fortune and good luck into your life. Instead of noticing all of your misfortune you will notice the good things in your life, you will feel luckier and fortunate, and you really will be. 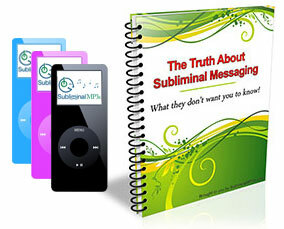 Using these subliminal messages will bring luck into all areas of your life - from business, to your social life, into romantic encounters, everyday situations... perhaps you could even win the lottery? Download this powerful album, bring more luck into your life, and become a naturally lucky person - forever - make today the first day of the rest of your life!